Japan Motor Import can ship to virtually any address in the world. We use the most reliable and safest shipping services to ship out your order. Once you have placed your order, it is shipped out the next business day by either UPS or Epic Express, fully insured with its tracking number provided to you. In cases where an item is out of stock, on back order, or is a special order, we will notify you via email with an approximate ETA. 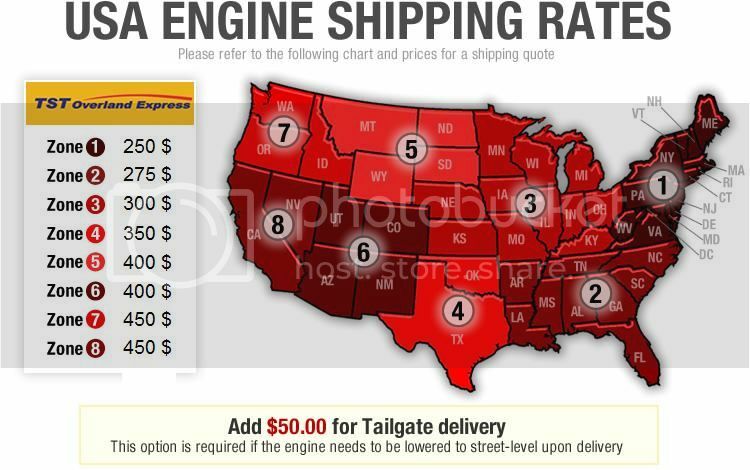 Click here to find out how much your shipping will cost. For orders outside the USA and Canada please contact us. please go to WWW.DAYROSS.CA (48 Lower states & Canada shipments).